The below illustrations show the Guardian Angel Window Guard in a horizontal position. In a vertical orientation, the dimensions of the guard remain the same. A. End posts attach to window frame or molding with screws (4 screws per guard). B. Sliding bars expand to fit various heights or widths. 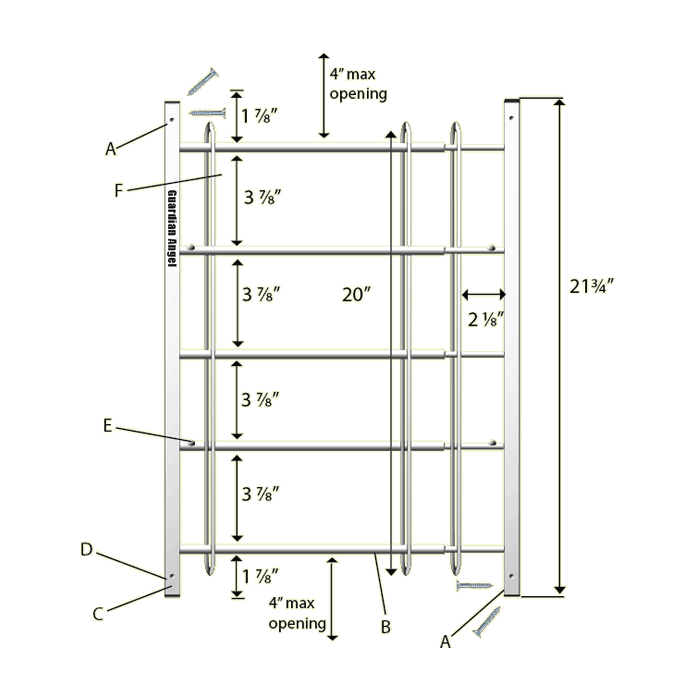 C. End posts can be stacked or placed adjacent to each other to cover extra wide or extra high openings. D. Each end post is ¾" wide. E. Emergency release button (each guard has 4). F. Spacing between bars is less than 4 inches.